The following provides a brief overview of Ohio’s lobbying laws. For detailed information, please refer to the Ohio Lobbying Handbook (best viewed when downloaded and opened with Adobe Reader). In Ohio, a lobbyist is a person who is compensated to advocate the interests of another before Ohio’s legislative and executive branches, or one of the state’s retirement systems. A person or entity who compensates a lobbyist to advocate on its behalf is referred to as an employer. The relationship between a lobbyist and his or her employer is termed an engagement. Based on the subject matter a lobbyist is attempting to influence, Ohio law categorizes engagements as either: legislative engagements, executive engagements, or retirement system engagements. For example, a lobbyist attempting to influence legislation–regardless of with whom they are communicating–is a legislative agent (i.e. legislative lobbyist). Each type of engagement is subject to different regulations. Engagement types are not exclusive. Lobbyists are often both a legislative and executive lobbyist for a single employer (and thus have multiple engagements with that employer). Lobbyists may have engagements with multiple employers, just as employers may have engagements with multiple lobbyists. Each engagement must be registered with the OLIG. Thereafter, lobbyists and employers must periodically report details about the lobbying activity and any expenditures associated with the engagement. This information is submitted by filing an Activity & Expenditure Report (AER). Each calendar year consists of three reporting periods: January-April, May-August, and September-December. Following each, lobbyists and employers must both submit AER’s to the OLIG. Generally, a lobbying expenditure is anything of value (e.g. gifts, awards, meals and beverages, entertainment, ticketed events, lodging, and transportation) provided by a lobbyist or employer for the use or benefit of a public official or certain state employees. For reporting purposes, expenditures fall under one of the following categories: itemized gifts, itemized meals and beverages, non-itemized meal and beverages, and all-invited events. Please see the Ohio Lobbying Handbook for detailed information regarding lobbying expenditures. Under Ohio law, campaign contributions are not lobbying expenditures and are not reported to the OLIG. Campaign contributions are reported to the Ohio Secretary Of State on candidates’ campaign finance reports. Filed campaign finance reports can be searched here. Questions regarding campaign finance should be directed to the Secretary Of State’s Campaign Finance Office at: (614) 466-3111. All registrations, AER’s, and terminations are submitted electronically through the Ohio Lobbying Activity Center (“OLAC”)—an electronic filing system designed and maintained by the OLIG. The information contained in these filings are available for the public to view. 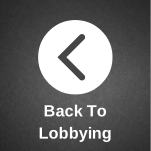 OLAC has several search features, including searches for: lobbyists and employers by name, lobbying activity for specific bills and decisions, and expenditures by source or recipient. In addition, OLAC can export search results to Microsoft Excel and offers lobbying statistics in real time. 101.711 Contracts with legislative agents. 101.72 Contents of registration statement. 101.75 Filing a complaint with JLEC. 101.76 Efforts excepted from coverage. 101.78 Lobbying forms to be public. 121.68 Statements are public records. 101.98 Statements as public records. 101.981 Attorney general may investigate.